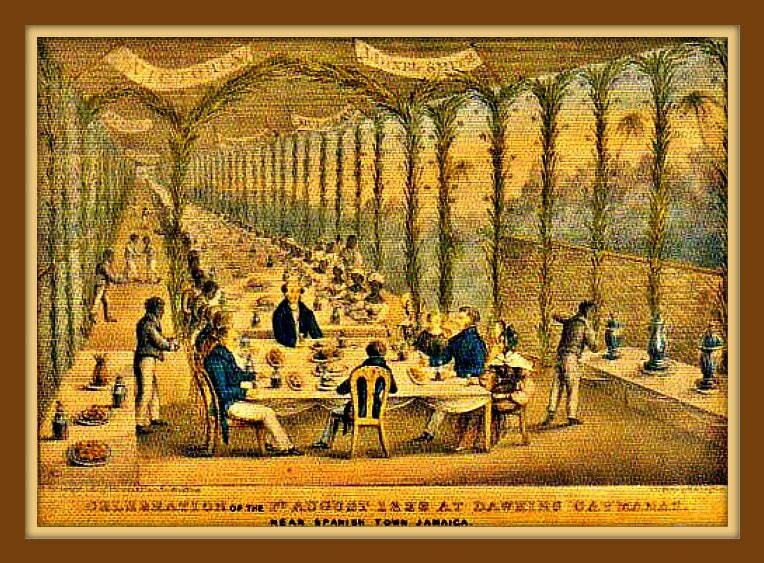 Celebration, August 1st, 1838, Dawkin's Caymanas. THERE is to be a people's general holiday on Tuesday, and the most ample preparations are being made both here and elsewhere that it shall be as much as circumstances will admit a universal one. Cumberland Pen is to be the great place of meeting, and scores of picnics will be held there. Our worthy friend Colas is preparing as usual for all friends who go hamperless, and with his proverbial love of sport, is getting up many athletic and other pastimes, not the least of which will be horse racing, pig and sack racing &c. The thorough bred—both beast, pig, and man—of the district are in training for the occasion. The Jockey Club Rules will not be particularly observed. On the last general entertainment of the kind, given by the Government mechanics on Coronation Day, we had the satisfaction of writing afterwards of the general good behaviour of the people. We had to hope to be able to do.so again. Let them take a leaf out of merry old Shakspeare and resolve to quaft carouses to their mistress's health. "Strive mightily, but eat and drink as friends." Some silly people are endeavouring to strain the affair into an Anti-Slavery celebration. It was never intended to be anything of the kind. The people simply want a holiday, and there need be no puritanical pulling of long faces—no psalm singing. "Old things are passing away," says a sage among us, and the remembrance of slavery should pass away, also; moreover the bulk of those who are preparing to enjoy themselves know nothing of slavery. Why therefore hamper their minds with the idea? We desire to see annual holidays observed here and therefore have been doing all we can to foster the idea. We believe such a custom will do good, but the people must be allowed to enjoy themselves without any duty imposed on them such as reverence for the memory of slavery. 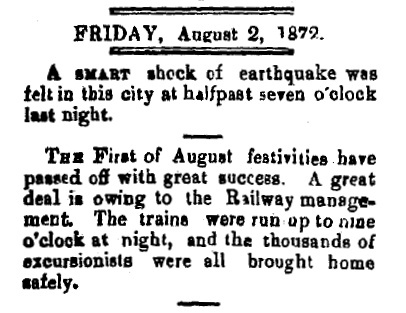 By the merest accident the First of August was fixed upon for a holiday. It has no further meaning. Everyone should be left to "put on his boldest suit of mirth and prepare for merriment," left free in fact to feel that "Whatever the motive, pleasure is the mark." Cumberland Pen, later, as a race track. SIR,—Although the behaviour of the numerous parties that went to Cumberland Pen on the recent picnic excursion, was worthy of all praise, yet there were several complaints by the sellers of small articles of refreshment, of having been barefacedly robbed of their little stock that they carried with them. It appears that a number of the idlers who live in the vicinity of the pen set upon the goods of these poor women, and carried them away. Scarcely any of them could find their parcels after the confusion of landing from the Railway Cars, which was a great shame. There were no Constables on the spot on that occasion. 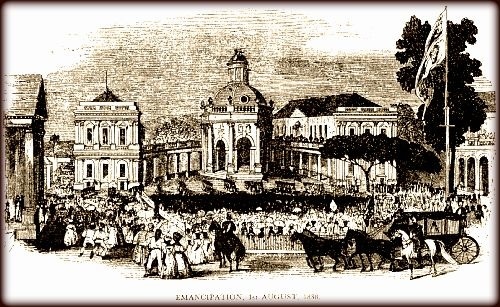 It is hoped that better provision will be made on Tuesday both by the Railway authorities and the Constabulary detachments of which should be sent from Kingston and Spanish Town early in the morning; to afford protection to the honest and well disposed portion of the excursionists. Where so many assemble, in all communities, there will be amongst them some evil-disposed and the presence of the Constabulary is indispensable as a prohibitive and protective force. The old Anti-Slavery feeling that has so long died out need not be revived, as there is no need for any such revival. The day is to be merely set apart as one of recreation and amusement; and I am glad to see that it is to be observed simply in this latter light, Slavery is a thing of the past, and all old things amongst us are rapidly passing away--socially, politically, and even ecclesiastically. Let us hope "the new departure" will be for the good of us all--dwelling in peace and plenty, with industry and sobriety. 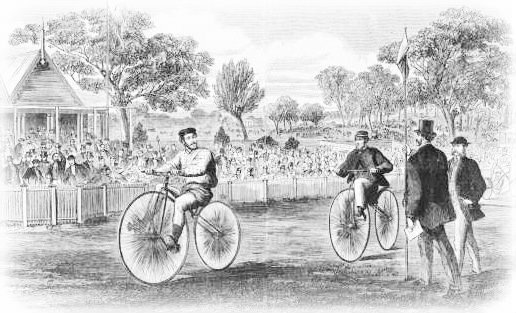 AMONG the amusements of to-day at Cumberland Pen will be a Velocipede Race between two gentlemen of this city on a wager of £10. Several outside bets have been taken upon the match. 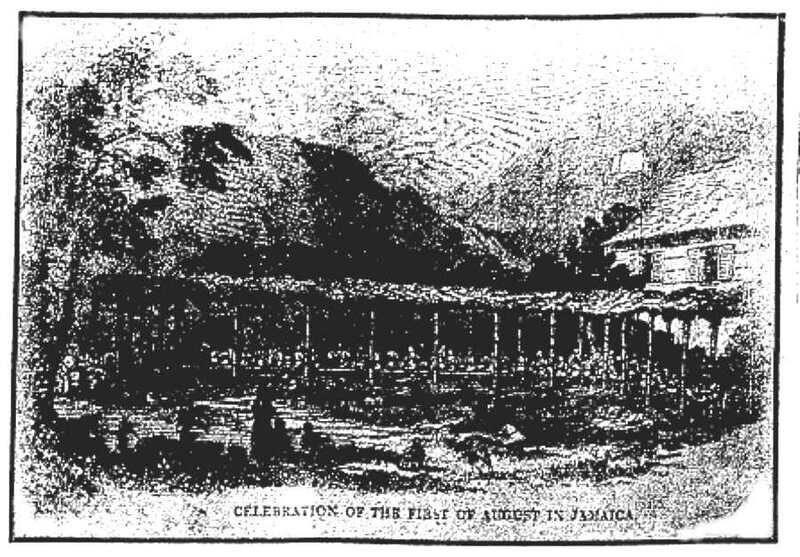 THE first of August, 1871, will be remembered in the annals of Jamaica by not a few of her inhabitants, as a day of mingled pleasure and disappointment — pleasure at the gathering of many thousands of persons of all classes and conditions of life for the enjoyment of a "Monster Picnic" on the salubrious and spacious lawn of Cumberland Pen; and disappointment at the very inadequate means of locomotion possessed by the Jamaica Railway Company, whose special invitation had led the public to expect that ample provision had been made to meet the emergency. 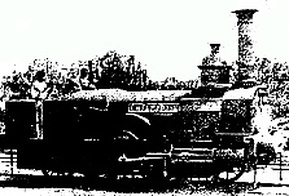 Whatever was the expectation of the Manager of the Railway in point of carriage, it is certain that the arrangements for the conveyance of so large a body of persons were totally inadequate, and it was evident from the starting of the early six a.m. train that the resources of the Company were baffled to an extent not at all anticipated. 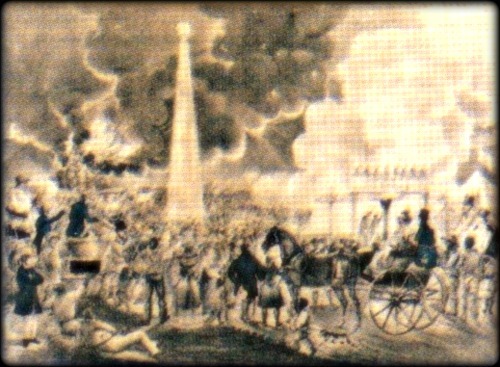 It was not possible, however, to resist the circulation of tickets, which had been going on in all directions for several days prior to Tuesday, and the result was that several hundreds of tickets were in the hands of parties anxious to be present at the celebration without any prospect of success. The regular 9 a.m. train took up a large number of passengers, and at about ten another lot was whirled along, still leaving the Terminus crammed almost to suffocation with anxious and disappointed parties. The Mechanics with their banners were left behind; the music was unable to accompany the parties; all the well-matured arrangements became disjointed, and it was evident that disappointment would follow. Still there was a well cherished hope that all would be well yet, and at 11 a.m., another train with well-filled cars left for Gregory Park—and another followed at noon. A fifth Train started on this special excursion. By this time, a number of persons who had become tired of waiting were compelled to give up all chance of joining in the enjoyment; well dressed families with children were obliged to abandon all hopes of participating in the trip, if nothing else. But up to this period there was no apprehension of any subsequent disappointment. The Company had done their utmost under the circumstances, and full allowance was made for their shortcomings, as the regular traffic was not neglected between Kingston and Old Harbour. 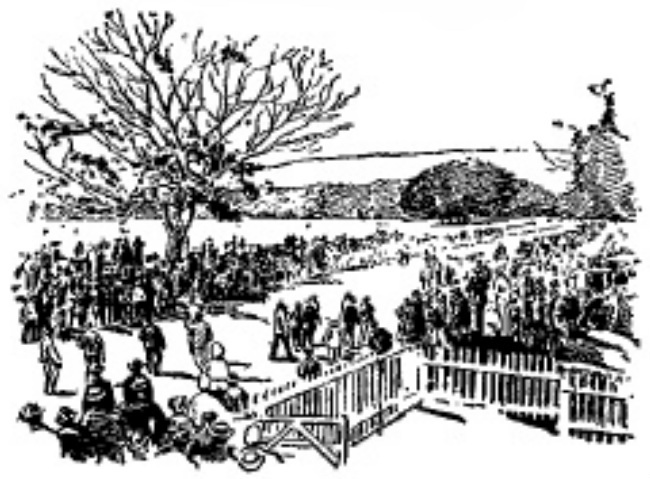 The amusements at Cumberland Penn were numerous and such as the various gatherings had provided, and all went on agreably and to the satisfaction of the visitors. Picnic parties of such a dimension are rare if not novel to Jamaica, and every allowance was made for any frustration of previous plans, that were not attributable to the imperfections of the Railway. Everybody went for enjoyment, and everybody seemed determined that enjoyment in some shape should be afforded. There were no cards or dice on the ground at any time; the sports consisted principally of promenading, bathing in the river, music, dancing, horse-racing, and a variety of other innocent pasttimes that brought confusion to the company of no one. Thus the day past off, with, of course, ample refreshments provided in knots of particular parties, which appeared to have been heartily enjoyed, as the subsequent events led one to believe, for when the time of difficulty arrived there was scarcely anything left in the hampers of anyone ! There was no excess of any description in any direction up to this time. Therefore, the people's gathering was decidedly commendable and creditable to them. But on looking towards home all became clouded with anxiety and distrust of not realising the reasonable expectations that had been formed. 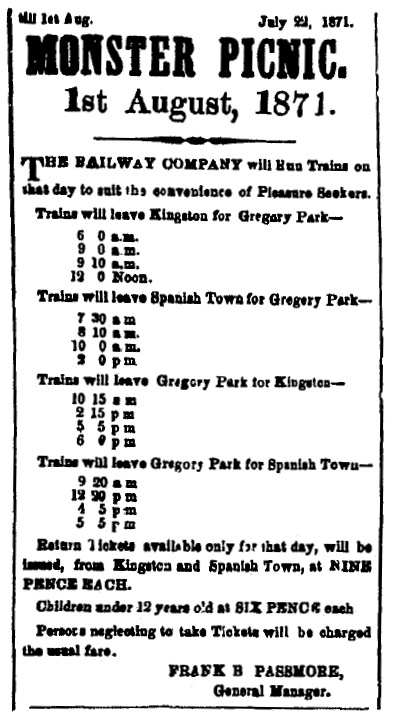 A train that should have left Gregory Park for Kingston at 5 p.m. and another at 6 p.m. could not stir; another for Spanish Town was in the same predicament; and the shades of evening closed upon the thousands of visitors who had relied upon the promise of the Company that the excursionists would be taken home if the trains were compelled to run all night! The people had filled the cars to such an extent that it was unsafe, it was said, at one time for the Engines to drag them. But it turned out at last that the Engines were completely disabled, and the rolling stock came to a standstill. Several attempts were made by the drivers of the Engines to get back to Kingston, but they were baffled, and when it was nearly midnight all hopes were abandoned till the morning. The best to be done under the circumstances was adopted by many; that is, to resign themselves into the hands of the Company, and keep vigils till relief should come, which did not clearly appear till the dawn of day. Several groups unable to endure the patient anxiety, left on foot for Kingston; and many more procured conveyance in a few vehicles that were at hand. As to refreshments during the night, seeing there was no supper for anyone so far from home, there was none. Mr. Colas's shop had run out of water, and been exhausted of every decent edible commodity; the night was miserable, relieved only by a silver moonlight, and the knowledge that all were alike distressed ! At last two Engines from Kingston appeared on the scene at 6 a.m. and took up a large number of the passengers, who arrived in Kingston at 7 o'clock, jaded and faded, but grateful nevertheless for a deliverance from such intense anxiety as prevailed during the whole night. Other trains followed periodically till all the passengers were taken to their respective destinations. And thus ended an excursion that will not be forgotten for some time to come. 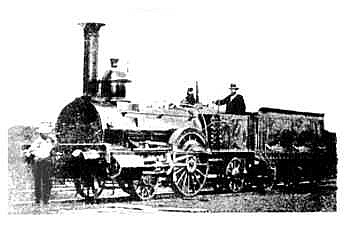 It is due to Mr. Passmore, the Manager of the Railway, to state that he drove the Engines himself during the greater part of the day, and showed every anxiety to carry out the arrangements as best he could. In this he was assisted by several private gentlemen, whose names need not be mentioned, but who are familiar with the nature of the work, and through whose exertions so few accidents occurred at any of the stations. 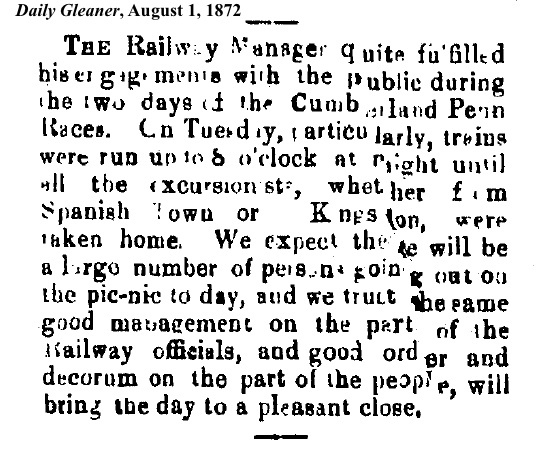 Whilst giving a plain narrative of the occurrences, we must repeat the fact that the 1st of August pic-nic at Cumberland Pen was a decided success, so far as the people were concerned; but the vehicle of locomotion, over which they could exercise no control, marred the happy termination of the day's sports. - things clearly went better!